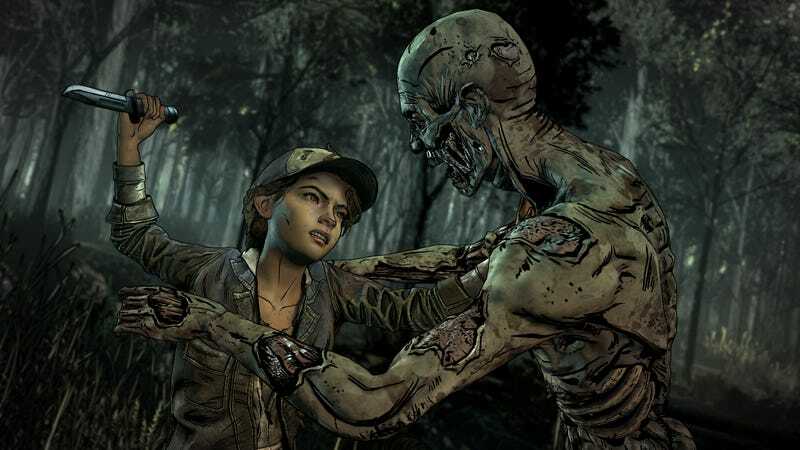 The demise of Telltale has left the end of their flagship series The Walking Dead up in the air, but a statement from what’s left of the company tonight suggests there are a few options left on the table to get the game’s story wrapped up. While that’s enough to give fans some hope that Clem’s story might actually reach its intended conclusion, it also leaves us with more than a few questions. What shape are episodes three and four in? Would they be released as fully playable episodes, or some kind of truncated cutscene that just goes through the story? Who exactly are these partners? And, you know, how much of the money that comes from the sale of the last two episodes would go to the 250 Telltale employees fired without severance?